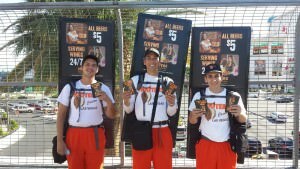 Las Vegas Advertising - Get Noticed at the Hottest Vegas Locations! Las Vegas Advertising on our Digital Mobile Billboard displays can play static images, animation, broadcast quality commercial spots and play to any advertising sequence desired. They are perfect for permanent annual campaigns, concerts, conventions and special events. Street teams and walking billboards are ready to hit the pavement of Las Vegas and designed to match your brand and campaign. Las Vegas Advertising where the people are in a fun and interactive way. Digital bus shelters are located on the Las Vegas Strip between the Tropicana and Encore. There are 13 LED screens that play 15 second spots on a 15 minute rotating loop. 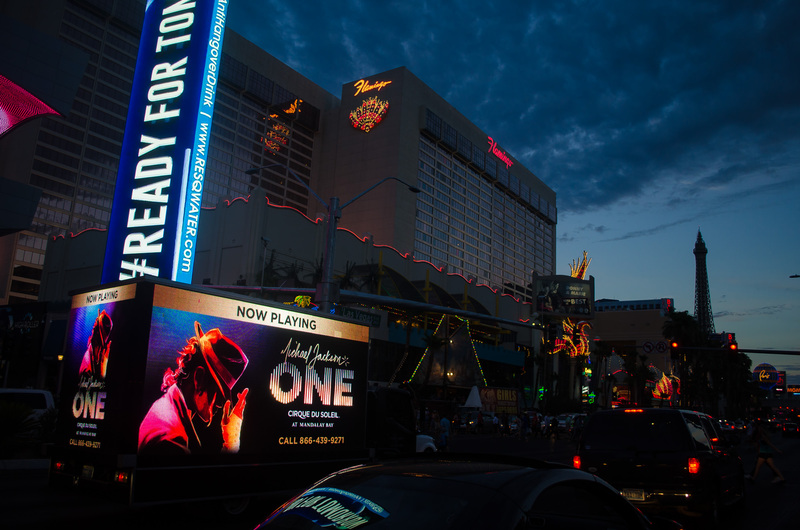 Let the World See Your Message on the Las Vegas Strip! An estimated 71% of people make their entertainment decisions after arriving to the Strip and most visitors spend an average of 4.1 hours walking the Strip during their visit. Walking Impressions. 424,000 per day. Vehicle Traffic is about 60,000 per day. Bus Ridership Daily Boarding is about 40,000 per day. Las Vegas Advertising doesn’t have to be expensive or difficult to compete with the “big players” with big budgets on the Las Vegas Strip. We have unique, low-cost advertising assets that can get your business noticed at the hottest locations in Las Vegas and along the Las Vegas Strip. Our digital billboards and digital mobile billboards mounted on trucks get the attention of crowds at eye level, on the street where people are. Our mobile billboards, street teams, and walking billboards are seen daily by thousands of eyes per hour and only take a short amount of time between your phone call to us and seeing your irresistible offer live on a truck or digital billboard. 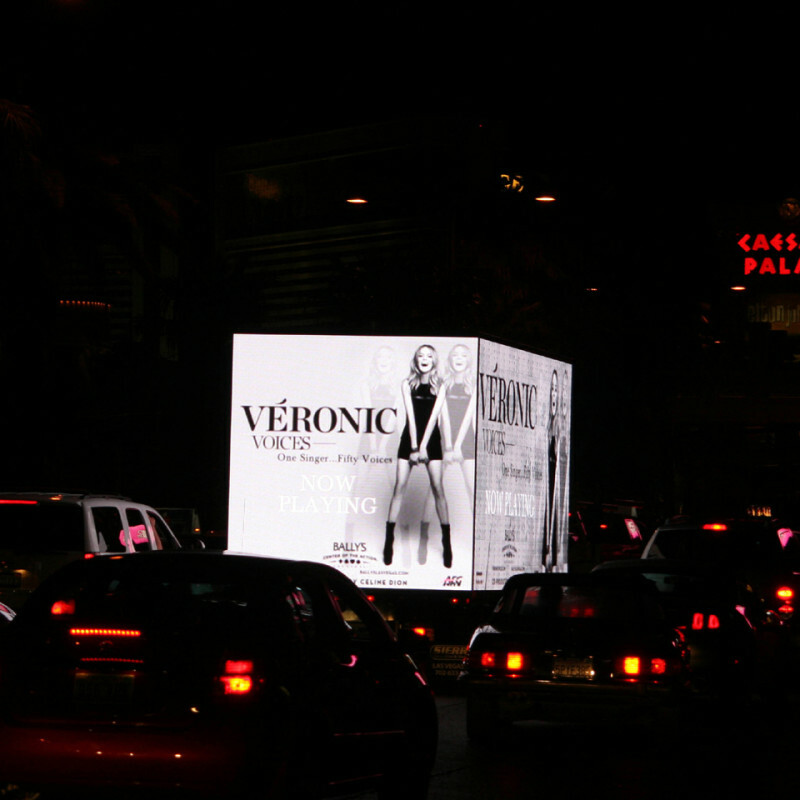 High Impact Las Vegas Advertising – Call today, and see your ad LIVE on the Las Vegas Strip tomorrow! 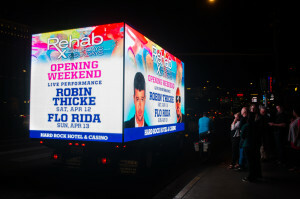 We are the pioneers in mobile billboard advertising in Las Vegas – we’re the people the big names come to when they want something outstanding, eye-catching and unique. Our creative team can take your existing marketing assets and your objective and create a campaign that will blow you (and your target customers) away! You won’t be disappointed – Call today to see how we can drive traffic to your business, club, event, website, or even telephone number. Whatever your goals, we have the team who can make it happen – fast! We’re also experts in Las Vegas Convention Advertising, if you’re looking to target convention attendees, we can help you be a big hit!